“I joined the Conservative Party in 1984 and this is not a decision I have made lightly – to leave a party for which I have fought at every election since 1987, from Maggie Thatcher through to Theresa May,” she said. She added: “The point at which our Prime Minister will not listen, not only to her membership, but will not listen to the people of her country ... I can’t sit by and let her do it. “We’ve got to rescue our democracy. We have got to show that the people of this country have a say in how we are run. Mr Rees-Mogg expressed regret his sister had left the Conservatives to stand as a candidate for Nigel Farage’s Brexit Party. “The Brexit Party is fortunate to have such a high-calibre candidate, but I am sorry that Annunziata has left the Conservative Party,” he said in a statement. 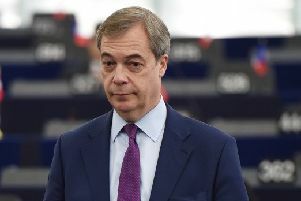 In his launch speech, Mr Farage said the campaign marked the start of a fightback against a political class that had betrayed the Brexit referendum result. Mr Farage said the party had received donations of more than £750,000 in ten days, showing that small donors were funding a “rebirth of democracy in this country”. 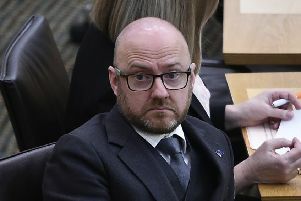 He said “thousands” had applied to stand in future local and Westminster elections and 70 had been selected to fight the European Parliament polls on 23 May.